I bought bananas to make these special healthy cookies that my Grandmother loves to mail to her, and I bought some extra bananas to do something else with. So I was searching Pinterest for banana recipes (follow me! 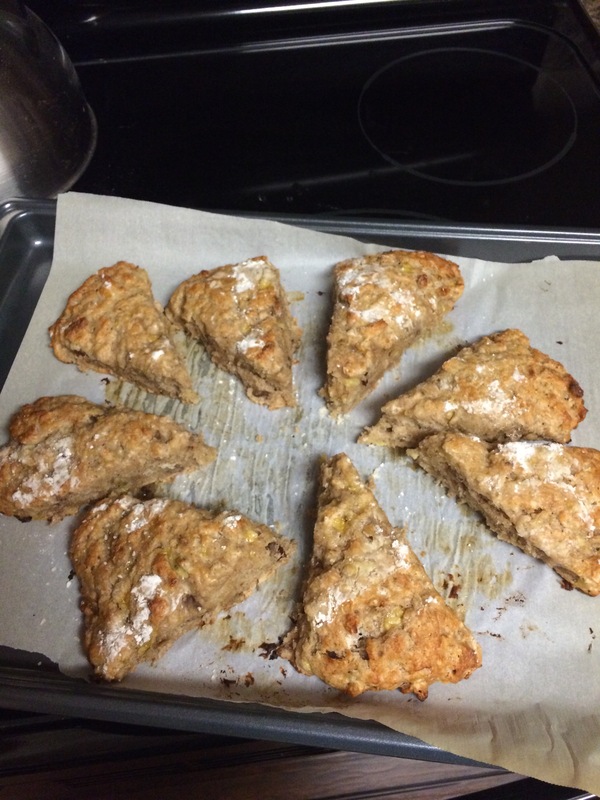 ), and I spotted banana bread scones, which I thought sounded genius. I followed the link to Cinnamon Spice & Everything Nice, and found an excellent recipe! 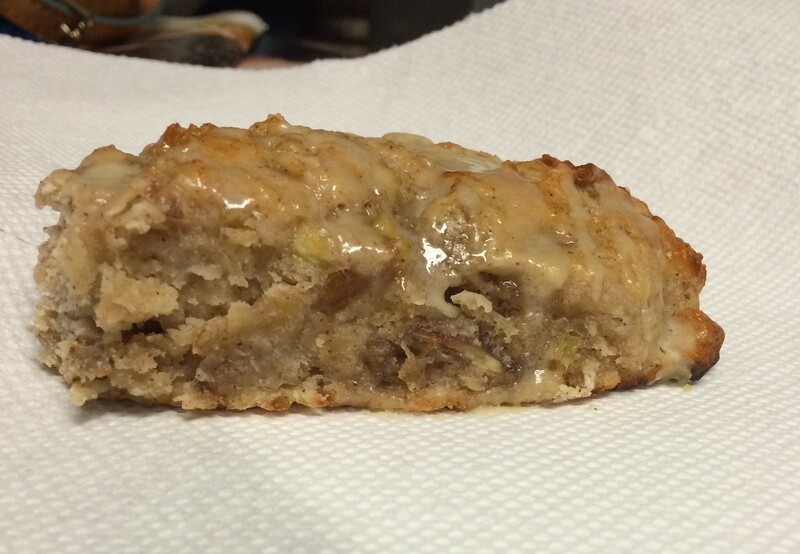 I found myself wondering why I had never heard of banana bread scones before. Thank you for enlightening me, Reeni! Not only was the idea brilliant, but the recipe itself was easy and required standard ingredients that I had in the house already. It is also eggless, making it easy to make vegan! All you would need to do is use dairy-free yogurt and milk. I also appreciated the detailed instructions for setting up the scones once the batter was together. This was the first time that I was successful in getting nice wedges out of the batter! The recipe also had an option for walnuts, but I didn’t have any, so I used pecans instead. I love putting nuts in my baking! The finishing touch was a brown sugar glaze. 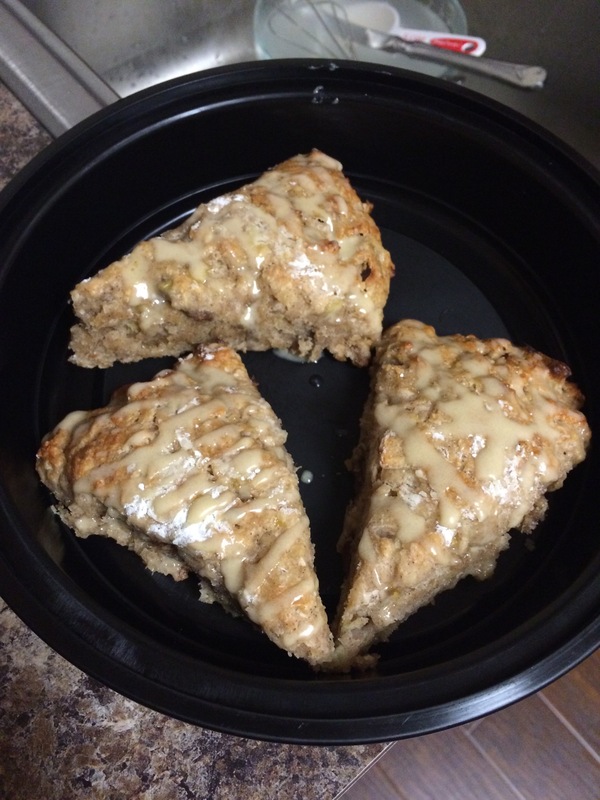 The scones would have been good without it, but the glaze definitely made them even better. My husband and I ate these for breakfast all week! I’ll be on the lookout for more recipes from Reeni in the future!